Offering five shows spanning a two-weekend period, the Community Arts Council of Blount County will perform Deathtrap, a thriller in two acts, in February. The story centers around Sidney Bruhl, a once-successful playwright who receives an unproduced script from former student Clifford Anderson. Recognizing the script is better than anything he has written in years, Bruhl plans to lure Anderson to his home, murder him, and proclaim the script as his own work. 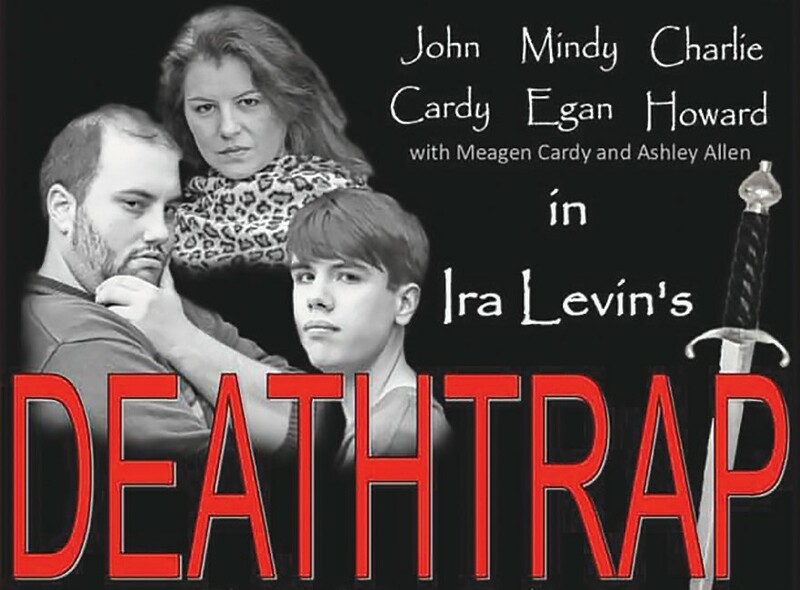 Deathtrap will be performed at the Frank Green Building on Fridays, Feb. 1 and 8, and Saturdays, Feb. 2 and 9, at 7 p.m. There willalsobea2p.m.matineeperformanceonSunday,Feb.10. Tickets are $10 and can be purchased by clicking on the “Buy Tickets Now” link at communityartscouncil.com.